I help entrepreneurs, business leaders and members of the public to give amazing speeches and presentations so that they can connect and engage with their audiences, raise their self-esteem and network more effectively. I work with people on improving their communication skills and enable them to work through their pain points such as nervousness or loss of memory and stress during their talks. I give my clients the necessary tools to deliver confident speeches by evaluating their content, poise and gestures and giving them the necessary tools to deliver a fantastic presentation that will make them and their audience proud. I have over 15 years of public speaking experience behind me and, although I have a degree in finance, an MBA and I worked in the City of London for a number of years. I believe that helping people fulfil their need for self-expression is my true calling. I spoke at my graduation and continue to attend speaking competitions and it was in 2013 that I received an award for the most improved speaker in my club. I later completed my Women’s Institute speaking audition and went on to deliver my showcase as a professional speaker at the London Professional Speaking Association (PSA) and became a member there in January of 2016. I remember practicing readings most Saturdays for Mass on Sundays during my adolescent years, with Devon Nash – a young priest who would listen and encourage me to raise my voice and pause. I was a shy child and had the tendency to be an introverted teenager. Devon knew all too well the look on Monsignor Bryan’s face when I’d stand at the alter and read from the wrong page or I would be engulfed with nervousness so that one leg would be shaking uncontrollably while the congregation waited patiently for me to echo the responsorial Psalm in an inaudible trembling voice. This was embarrassing, but I kept going. Now I know how to alleviate these issues for my clients. When I’m not speaking, my other passions are gardening and cycling in nature. I also have days when I will rustle up a good dish as I love foods from many different parts of the world. I really do love a tasty meal and travelling and learning about other cultures and people. 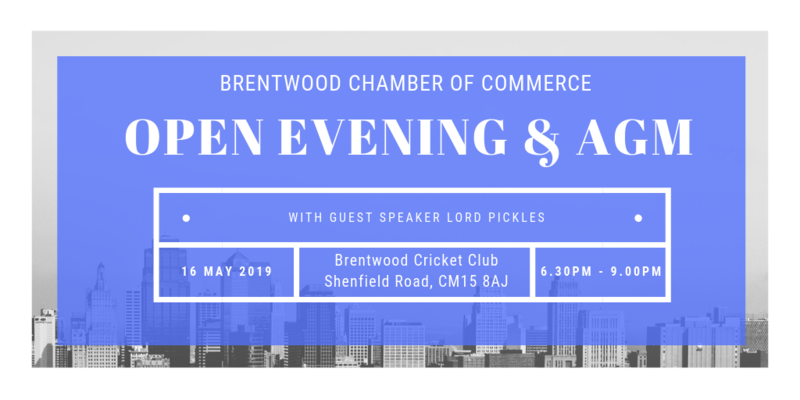 I would like to join the Chamber because it’s a great way to build my awareness of other businesses operating in Brentwood, and meet other business owners as well. The Chamber of Commerce meets to help me build strong relationships and my reputation in the business and it’s a warm and friendly atmosphere. I still believe in the old adage ‘ there’s strength in numbers’ . Together we can achieve more. Attending the meetings to learn about other members’ business to come together to showcase our passion about what we do, is one of the best things an entrepreneur can experience. That’s the reason I really enjoy the meetings and would like to join. Katharine Loveday is Corporate Fundraiser at Kids Inspire. Podiatry (also known as chiropody) is a specialist medical science that deals specifically with the health of your feet and lower limbs. Healthy feet improve quality of life and Podiatry is key to your health and wellbeing. Podiatry covers treatment for common foot problems such as blisters and verrucas through to the detection, diagnosis and corrective treatment of more complex issues arising from injury or disease. Podiatry medicine can also be used to prevent the onset of serious conditions by correcting imbalances and irregularities. It is a common misconception that some conditions and injuries to the feet or lower limbs are simply untreatable. In addition, many people do not associate their knee, hip, back or neck pain with the health of their feet. The fact is that the vast majority of foot and lower-limb problems that we see at Kinetic Podiatry Clinic are not only accurately identified, treated and corrected, but also invariably lead to significant improvements in the knees, hips, back and neck, all areas of the body which are inextricably linked to the feet. Founded in 2014 by Neil McAllister, following 14 years as a successful NHS Podiatrist and conveniently based within the Brentwood International Leisure Centre, Kinetic Podiatry Clinic has quickly grown to become established and trusted. Through working with the NHS and more recently as a private clinic, Kinetic Podiatry Clinic has become renowned for successfully treating an extensive range of foot and lower limb conditions for people of all ages, fitness levels and life-styles. Kinetic Podiatry Clinic is a sports specialist podiatry clinic, although we cater daily for all people, regardless of their level of activity or fitness. Underpinned by numerous industry-recognised qualifications including Podiatric Medicine, Sports Medicine, Diagnostic Radiology and Advanced Biomechanics to name but a few, Clinical Director and lead Podiatrist Neil McAllister is fully qualified and highly experienced in the diagnosis, prevention and treatment of injuries and conditions to your lower limbs and feet. An approved member of the Health and Care Professions Council (HCPC,) Neil has rare and invaluable insight into the holistic importance of Podiatry/Chiropody in today’s hectic lifestyle. Neil has a particular interest in sports injuries and the related biomechanics of the lower limb and has provided Podiatric Sports Injury support to football teams, marathon runners and players of many other sports. Post Graduate Module in Medical Law.